As a general rule, Judaism rejects physical manifestations of spirituality, preferring instead to focus on actions and beliefs. Indeed, the story of Judaism begins with Abraham who, according to ancient sources, shattered the idols that were the conventional method of religious observance at the time. Worship of graven images is harshly condemned throughout the Torah, and perhaps the greatest sin the Israelites collectively committed was the construction of the Golden Calf (in Ex. 32), intended to serve as a physical intermediary between them and God. Today, Jews do not venerate any holy relics or man-made symbols. But in the history of the Jewish people, there was one exception to this rule. 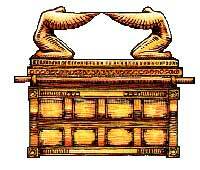 One man-made object was considered intrinsically holy - the Ark of the Covenant. Constructed during the Israelites' wanderings in the desert and used until the destruction of the First Temple, the Ark was the most important symbol of the Jewish faith, and served as the only physical manifestation of God on earth. The legends associated with this object - and the harsh penalties ascribed for anyone who misuses it - confirm the Ark's centrality to the Jewish faith of that period; the fact that Jews and non-Jews alike continue to study and imitate it confirms its centrality even today. The construction of the Ark is commanded by God to Moses while the Jews were still camped at Sinai (Ex. 25:10-22; 37:1-9). The Ark was a box with the dimensions of two-and-a-half cubits in length, by one-and-a-half cubits in height, by one-and-a-half cubits in width (a cubit is about 18 inches). It was constructed of acacia wood, and was plated with pure gold, inside and out. On the bottom of the box, four gold rings were attached, through which two poles, also made of acacia and coated in gold, were put. The family of Kehath, of the tribe of Levi, would carry the ark on their shoulders using these poles. Covering the box was the kapporet, a pure gold covering that was two-and-a-half by one-and-a-half cubits. Attached to the kapporet were two sculpted Cherubs, also made of pure gold. The two Cherubs faced one another, and their wings, which wrapped around their bodies, touched between them. The contents of the Ark has been debated through the centuries. The general consensus is that the first tablets containing the Ten Commandments, which were broken by Moses, and the second tablets, which remained intact, were contained in the Ark (Bava Batra 14b). According to one opinion in the Talmud, both Tablets were together in the Ark; according to another, there were two Arks, and each contained one set of Tablets (Berakhot 8b). The Ark was built by Bezalel, son of Uri, son of Hur, who constructed the entire Tabernacle  the portable Temple used in the desert and during the conquest of the land of Israel. The Tabernacle was the resting place for the Ark, and also contained other vessels that were used in the physical worship of God. The Biblical commentators argue over why God commanded Moses to build a Tabernacle in the first place: According to Rashi (Ex. 31:18), God realized after the sin of the Golden Calf that the Israelites needed an outlet for physical worship, and commanded that they build the Tabernacle as a way of expressing their own need for physical representation of God. According to Nachmanides (Ex. 25:1), however, the Jews were commanded to build the Tabernacle even before the sin of the Golden Calf; rather than filling a human need, the Tabernacle was God's method of achieving continuous revelation in the Israelites' camp. These two opinions as to whether the Tabernacles, and the Temples that followed them, were an a priori necessity or a necessary evil demonstrate the controversial role of physical worship in Judaism as a whole. The Ark was used in the desert and in Israel proper for a number of spiritual and pragmatic purposes. Practically, God used the Ark as an indicator of when he wanted the nation to travel, and when to stop. In the traveling formation in the desert, the Ark was carried 2000 cubits ahead of the nation (Num. R. 2:9). According to one midrash, it would clear the path for the nation by burning snakes, scorpions, and thorns with two jets of flame that shot from its underside (T. VaYakhel, 7); another midrash says that rather than being carried by its bearers, the Ark in fact carried its bearers inches above the ground (Sotah 35a). When the Israelites went to war in the desert and during the conquering of Canaan, the Ark accompanied them; whether its presence was symbolic, to provide motivation for the Jews, or whether it actually aided them in fighting, is debated by commentators. Spiritually, the Ark was the manifestation of God's physical presence on earth (the shekhina). When God spoke with Moses in the Tent of Meeting in the desert, he did so from between the two Cherubs (Num. 7:89). Once the Ark was moved into the Holy of Holies in the Tabernacle, and later in the Temple, it was accessible only once a year, and then, only by one person. On Yom Kippur, the High Priest (Kohen Gadol) could enter the Holy of Holies to ask forgiveness for himself and for all the nation of Israel (Lev. 16:2). The relationship between the Ark and the shekhina is reinforced by the recurring motif of clouds. God's presence is frequently seen in the guise of a cloud in the Bible (Ex. 24:16), and the Ark is constantly accompanied by clouds: When God spoke from between the Cherubs, there was a glowing cloud visible there (Ex. 40:35); when the Jews traveled, they were led by the Ark and a pillar of clouds (Num. 10:34); at night, the pillar of clouds was replaced by a pillar of fire, another common descriptor of God's appearance (Ex. 24:17); and when the High Priest entered presence of the Ark on Yom Kippur, he did so only under the cover of a cloud of incense, perhaps intended to mask the sight of the shekhina in all its glory (Lev. 16:13). The holiness of the Ark also made it dangerous to those who came in contact with it. When Nadav and Avihu, the sons of Aaron, brought a foreign flame to offer a sacrifice in the Tabernacle, they were devoured by a fire that emanated "from the Lord" (Lev. 10:2). During the saga of the capture of the Ark by the Philistines, numerous people, including some who merely looked at the Ark, were killed by its power. Similarly, the Priests who served in the Tabernacle and Temple were told that viewing the Ark at an improper time would result in immediate death (Num. 4:20). The Ark accompanied the Jews throughout their time in the desert, traveling with them and accompanying them to their wars with Emor and Midian. When the Jews crossed into the land of Canaan, the waters of the Jordan River miraculously split and the Ark led them through (Josh. 3). Throughout their conquest of the land, the Jews were accompanied by the Ark. The most dramatic demonstration of its power comes when the Jews breached the walls of Jericho merely by circling them, blowing horns and carrying the Ark (Josh. 6). After the conquest was completed, the Ark, and the entire Tabernacle, were set up in Shiloh (Josh. 18) . There they remained until the battles of the Jews with the Philistines during the Priesthood of Eli. The Jews, after suffering a defeat at the Philistines' hands, took the Ark from Shiloh to Even-Ezer in hopes of winning the next battle. But the Jews were routed, and the Ark was captured by the Philistines. Back in Shiloh, Eli, the High Priest, immediately died upon hearing the news (I Sam. 4). The Philistines took the Ark back to Ashdod, their capital city in the south of Canaan, where they placed it in the temple of their god Dagon. The next day, however, they found the idol fallen on its face. After replacing the statue, they found it the next day decapitated, with only its trunk remaining, and soon afterward, the entire city of Ashdod was struck with a plague. The Philistines moved the Ark to the city of Gath, and from there to Ekron, but whatever city the Ark was in, the inhabitants were struck with plague. After seven months, the Philistines decided to send the Ark back to the Israelites, and accompanied it with expensive gifts. The Ark was taken back to Beit Shemesh, and, according to midrash, the oxen pulling the Ark burst into song as soon as it was once again in Israel's possession (A.Z. 22b). The actual text of the story, however, tells a much grimmer tale: The men of Beit Shemesh were punished for staring disrespectfully at the Ark, and many were killed with a plague. The Church of St. Mary. The Treasury that is said to contain the Ark is in the background on the left. From Beit Shemesh, the Ark was transported to Kiryat Yearim, where it remained for twenty years. From there, King David transported it to Jerusalem. En route, however, the oxen pulling it stumbled, and when Uzzah reached out to steady the Ark, he died immediately. As a result of this tragedy, David decided to leave the Ark at the home of Obed-edom the Gittite. Three months later, he moved it to Jerusalem, the seat of his kingdom, where it remained until the construction of the First Temple by David's son Solomon (I Sam. 5-6). When the Ark was finally placed in the Temple, the midrash reports that the golden tree decorations that adorned the walls blossomed with fruit that grew continuously until the Temple's destruction (Yoma 39b). The Ark remained in the Temple until its destruction at the hand of the Babylonian empire, led by Nebuchadnezzar. What happened to it afterward is unknown, and has been debated and pondered for centuries. It is unlikely that the Babylonians took it, as they did the other vessels of the Temple, because the detailed lists of what they took make no mention of the Ark. According to some sources, Josiah, one of the final kings to reign in the First Temple period, learned of the impending invasion of the Babylonians and hid the Ark. Where he hid it is also questionable  according to one midrash, he dug a hole under the wood storehouse on the Temple Mount and buried it there (Yoma 53b). Another account says that Solomon foresaw the eventual destruction of the Temple, and set aside a cave near the Dead Sea, in which Josiah eventually hid the Ark (Maimonides, Laws of the Temple, 4:1). 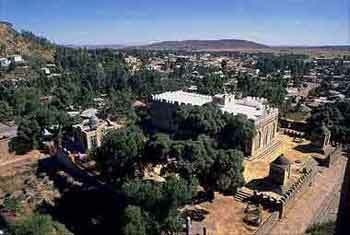 St. Mary Church in Axum, Ethiopia. One of the most fascinating possibilities is advanced by Ethiopian Christians who claim that they have the Ark today. 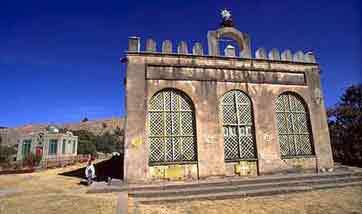 In Axum, Ethiopia, it is widely believed that the Ark is currently being held in the Church of Saint Mary of Zion, guarded by a monk known as the "Keeper of the Ark," who claims to have it in his possesion. According to the Axum Christian community, they acquired the Ark during the reign of Solomon, when his son Menelik, whose mother was the Queen of Sheba, stole the Ark after a visit to Jerusalem. While in the not-so-distant past the "Ark" has been brought out for Christian holidays, its keeper has not done so for several years due to the tumultuous political situation in the country. The claim has thus been impossible to verify, for no one but the monk is allowed into the tent. A more plausible claim is that of archaeologist Leen Ritmeyer, who has conducted research on the Temple Mount and inside the Dome of the Rock. He claims to have found the spot on the Mount where the Holy of Holies was located during the First Temple period. In the precise center of that spot is a section of bedrock cut out in dimensions that may match those of the Ark as reported in Exodus. This section of the mount, incidentally, is the one from which the creation of the world began, according to midrash (T. Kedoshim, 10). Based on his findings, Ritmeyer has postulated that the Ark may be buried deep inside the Temple Mount. However, it is unlikely that any excavation will ever be allowed on the Mount by the Muslim or Israeli authorities. The Ark remains a topic of study even today, over 2000 years after it was last seen. A great deal of research has attempted to explain the wonders that are attributed to the Ark in the Bible. One recent study suggests the possibility that the Ark represented man's first harnessing of electricity. The accounts given of peoples' sudden deaths from touching the Ark are consistent with death by a high voltage, lethal electrical charge. Such a charge could have resulted from the constant exposure of the box to static electricity, which builds up quickly in a hot, dry climate like the Middle East. The materials that the Ark was made of further support this theory: gold is one of the most powerful electrical conductors, and wood is an excellent insulator. The only remnant of the Ark in Jewish life today is the Holy Ark in which Torah scrolls are kept in synagogues. These Arks often are decorated with copies of the Tablets, reminiscent of the contents of the actual Ark of ancient times. The Ark itself plays no role in Jewish life today. Nonetheless, it remains a potent symbol of the Jewish peoples' past, and of the messianic era many believe is waiting in the future. 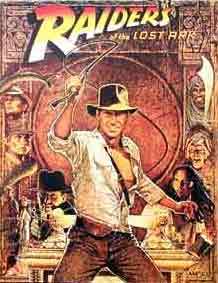 Ironically, the Ark is most famous today as the subject of the 1981 film "Indiana Jones and the Raiders of the Lost Ark." The movie tells of a hero's attempt to prevent the Ark from falling into the hands of the Nazis, who would harness its power for evil. While there is no evidence of Hitler ever having had an interest in the Ark, the movie does an admirable job of capturing the mystique of one of the worlds' most ancient unsolved mysteries. Sources:Graham Hancock. The Sign and the Seal : The Quest for the Lost Ark of the Covenant. Touchstone Books, 1993; Encyclopedia Judaica. "Ark of the Covenant. "; Ritmeyer, L., 1996. "The Ark of the Covenant: Where it Stood in Solomon's Temple". Biblical Archaeology Review 22/1: 46-55, 70-73; The Discovery Channel Online. "The Lost Ark."